You may have found yourself in this situation: You have too many machines in the yard, or you need to sell a truck or two from your fleet in order to upgrade. 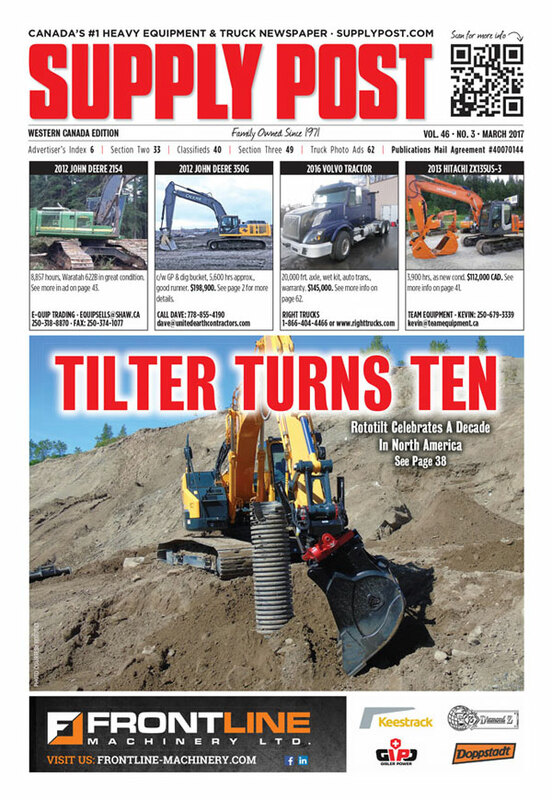 The task of selling just one or two pieces of iron may seem daunting in a busy world, however, Supply Post newspaper can reduce your stress by offering 5 proven options to help you get your equipment or trucks sold. 1. 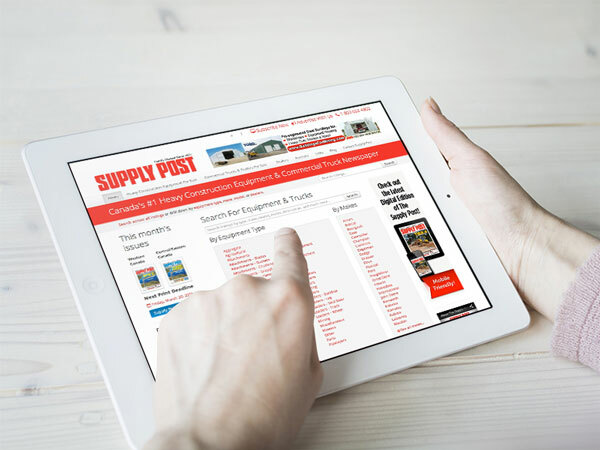 On-line Listings at www.SupplyPost.com– This incredibly easy-to-use database of equipment and trucks for sale has a powerful search feature and almost 35,000 viewers per month! You can also upload several photos of your equipment, add a detailed description, and your contact information appears in your ad, and keep track of all your for sale or rent . Spreadsheet and data feeds for dealer inventories are also accepted. 2. 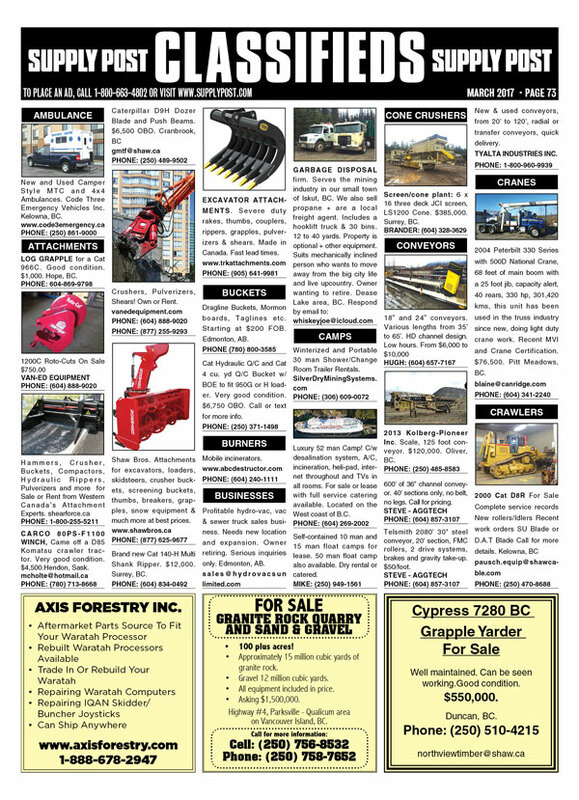 Classified ad in the Supply Post print edition – Supply Post has two editions: Western Canada and Central/Eastern Canada so your Classified ad will reach the buyers YOU want. Add a photo to your Classified ad for best results. Bonus: When you purchase a Classified ad in the print edition of Supply Post, your ad also gets a FREE on-line listing on www.SupplyPost.com! Have a truck to sell? Call us about upgrading your Classified ad to a Truck Photo ad. 3. Featured Listings — a combination of a Classified ad in the newspaper, an on-line listing on www.SupplyPost.com, and one of the four Featured Listing spots on the front cover of Supply Post. Your ad will also be promoted on social media, and it will appear in Supply Post’s bi-monthly E-News — all this for $349! Click for more info. 4. 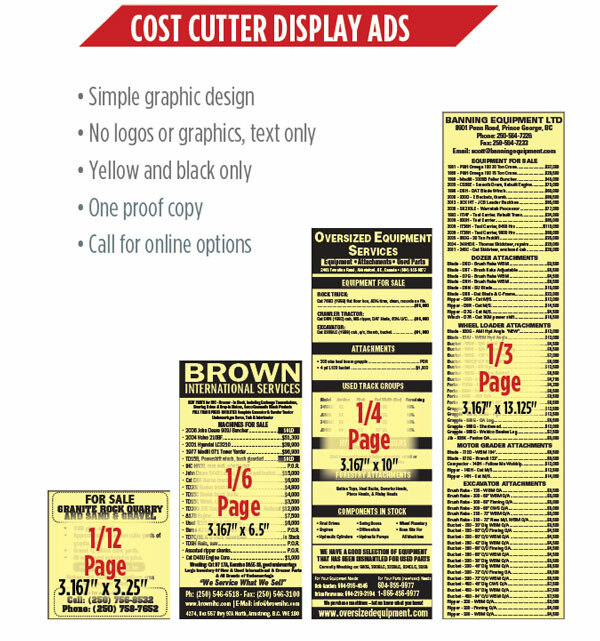 Cost Cutter display ad in the Supply Post print edition – If you have more than few pieces to sell, the most economical option is a Cost Cutter display ad in the Classifieds section of Supply Post. Think of it as a glorified, fancy-pants classified ad. Your list of equipment is grouped together with your contact info, in an effective ad that will grab your buyer’s attention. 5. Display ad in Supply Post, print edition – There are many advantages to advertising with a display ad. Eye-catching, full colour graphics including your company logo, colour photographs, and full descriptions of your company and/or equipment. With over 20 sizes to choose from, there’s an ad to suit every budget. You also get better position in the newspaper. 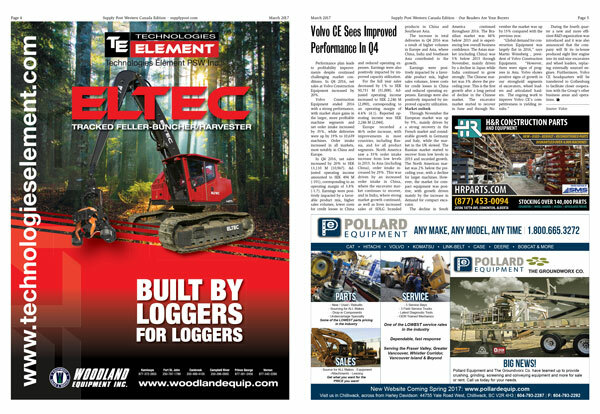 All display ads also appear FREE in Supply Post’s on-line digital edition! 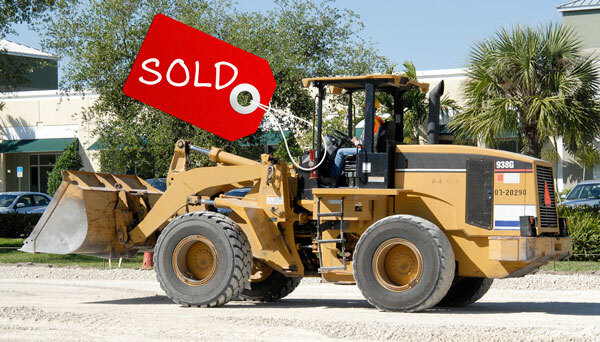 At Supply Post, the number one objective is to help you get your equipment and trucks SOLD! Call today at 1-800-663-4802 to learn about how the above can help you with your sales goals, or how a custom-tailored campaign can suit your needs.